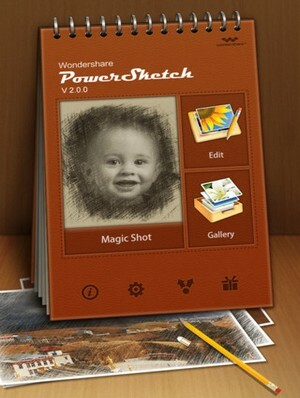 PowerSketch App is like having your professional artist always with you on the go! Choose a single picture or experiment a full collage, there is nothing that this Sketch app cannot do! team has created is a true state of the art drawing app that enables you to use your favorite pictures and convert them into fantastic sketches of different drawing technics! As we already review about great camera app PowerCam for iPhone and Android by using both you able to enhance your photography skills. Fun to discover, highly artistic and easy to use, PowerSketch offers a unique artwork-experience, in just a few seconds. From rice paper to shadow, wash and more, the diversity of artistic effects that PowerSketch provides, gives ways for your creative genius to turn your pictures into fun memories to share! Having PowerSketch App is like having your professional artist always with you on the go! 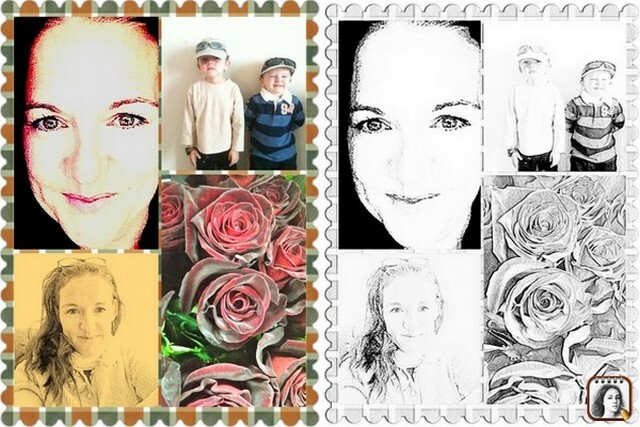 Choose a single picture or experiment a full collage, there is nothing that this Sketch app cannot do! What I like the most about PowerSketch is that it is very intuitive. Even without knowing anything about how to use it, I found it very easy to navigate. The screen displays the Filter so that you instantly know the result and correct it until you are satisfied! This App allows every picture, captured as a memorable moment, to become remarkably timeless! How many apps do you have? Looks like another good one.